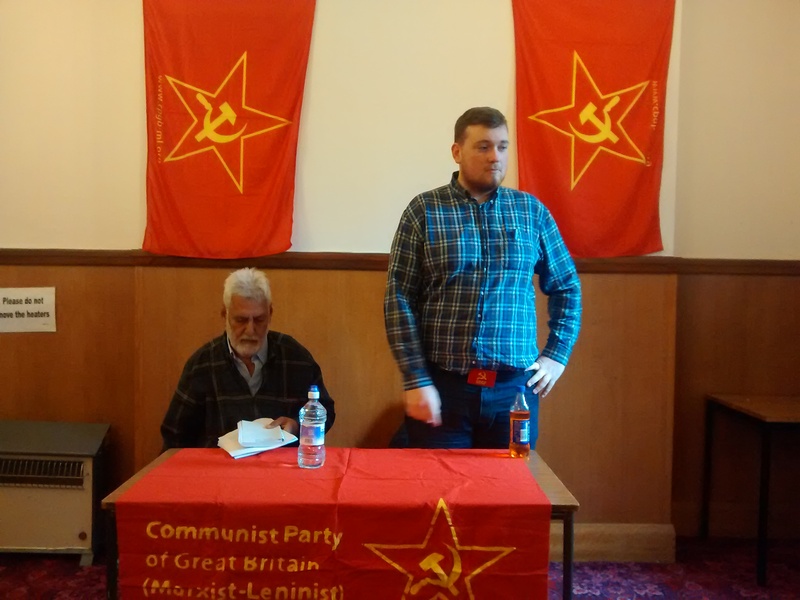 As part of the ongoing work this year to mark the 70th anniversary of the victory over fascism, the CPGB-ML and Red Youth organised two well attended party functions in Glasgow and Birmingham at which Party Chairman Harpal Brar gave his presentation on the subject. 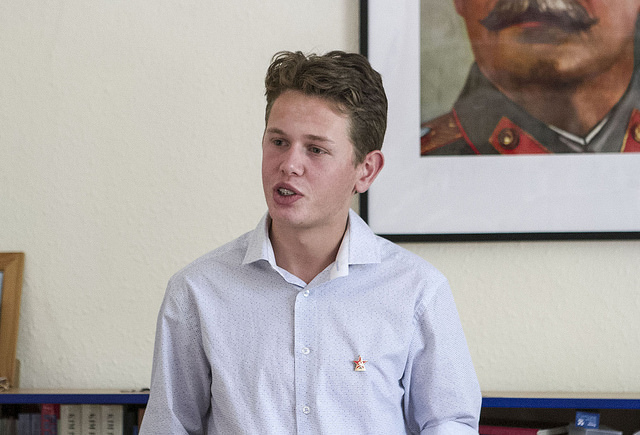 Both functions were chaired by young cadres of the Party. Much is written and spoken about WW1 and WW2 – yet it is truly staggering how few people, and particularly how few British workers, really understand the causes and significance of this struggle, in which 60 million workers gave their lives. The imperialists (Britain, France, USA, Germany, Japan…) fought, and many millions died to preserve and enforce the wage and colonial slavery of the capitalist class. They fought for slaves and booty and nothing more. 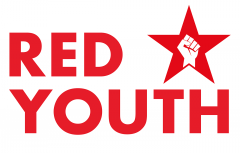 And yet by their masterful leadership, bold strategy and heroic courage and self-sacrifice, the Soviet Union and international communist movement, won world-historic victories which not only preserved their hard won socialist nation, but brought into being new socialist democracies across Europe and Asia, invigorated the anti-colonial struggle, and decisively shifted the balance of power in favour of working people on a global scale. The victories won by the Soviet Union changed and shaped our world, and all workers should not only know these episode in our history, but we should be truly proud of these earth shattering achievements made by our class, which herald the bright new world we are capable of bringing into being. This presentation should be compulsory viewing for every British worker: help spread the word! ” The bourgeoisie turns everything into a commodity, hence also the writing of history. It is a part of its being, of its condition for existence, to falsify all goods; it falsified the writing of history. And the best-paid historiography is that which is falsified for the purposes of the bourgeoisie.” (Engels, ‘Material for the History of Ireland’, 1870). (iv) the results of the war. The Second, as indeed the First, World War is inseparable from imperialism, whose product it was. Tens of millions of people were slaughtered to decide which set of bandits – the Anglo-American-French or the German-Italian-Japanese – was to get what share of the loot. The only way out of the morass of imperialist wars is socialism; therefore the struggle against war must be inseparably connected with the struggle for the overthrow of imperialism and the establishment of socialism. The ruling classes of the ‘democratic’ imperialist countries were complicit in the rise and strengthening of fascism. It was the crowning achievement of the Soviet people to have defeated Nazism – this monstrous product of imperialism in crisis. The Soviet victory in the Second World War was a disaster for imperialism. If the First World War brought into existence the great and glorious Soviet Union, the end of the Second World War led to the creation of a mighty socialist bloc, stretching from the Soviet Union through eastern and central Europe to the Far East. Since the collapse of the Soviet Union, the bourgeoisie has gone on the rampage not only to belittle the role of the Soviet Union in defeating fascism, but also to malign the record of socialism itself. This is particularly true of the Baltic states, Poland and, especially, Ukraine. In the last-named country, Stefan Bandera, the notorious Nazi stooge, is honoured with statues and street names as a great fighter for national liberation – not against the Nazis but against the Soviet Union!!! The economic crisis of 1929 made the inter-imperialist war a certainty. The law of uneven development of capitalism saw to it that some countries, notably Germany, Japan and Italy, had spurted ahead in their development, but their share in terms of markets, mineral resources, and avenues for investment was dis-proportionately small compared with the share of countries such as Britain and France.